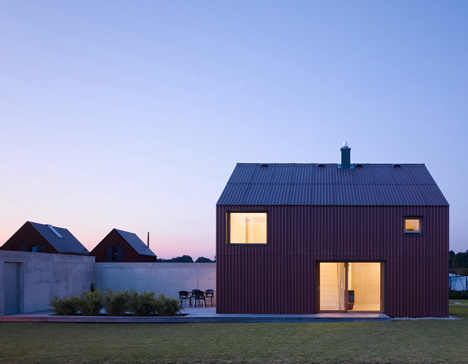 This house is located in Bavaria and placed within a line of architecture that I personally really like, and refers to the maximum expressiveness of building materials. 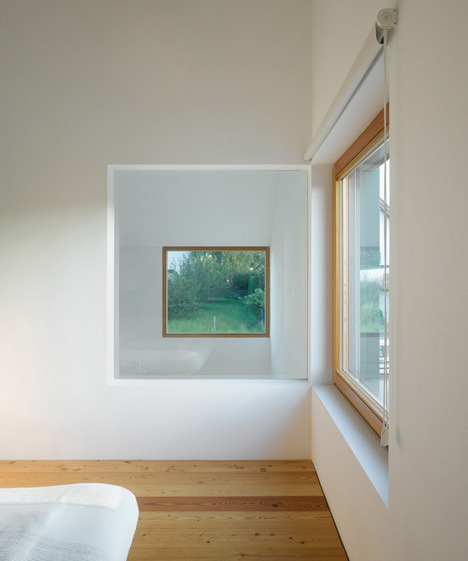 Esta vivienda estÃ¡ ubicada en Bavaria y se coloca dentro de una lÃ­nea de arquitectura que en lo personal me gusta mucho, y que refiere a la tectÃ³nica o expresividad pura de los materiales de construcciÃ³n. It seeks to address the inherent capacity of the materials, making use of their own formal speech, everything related to textures, colors, natural forms, etc.. Se busca como parte del discurso la capacidad inherente de los materiales, haciendo uso del propio discurso formal de Ã©stos, todo lo referido a texturas, colores, formas naturales, etc. En este caso se trata ademÃ¡s de un ejemplo en el cual el arquitecto incorpora y mezcla distintos aspectos lingÃ¼Ã­sticos y semÃ¡nticos, trayendo a la obra las pendientes pronunciadas de los techos a dos aguas, el reduccionismo de elementos auxiliares (sustituye caÃ±erÃ­as y tuberÃ­as de desagÃ¼e e instalaciones) haciendo mas limpio el mensaje formal y potenciando aspectos discursivos. 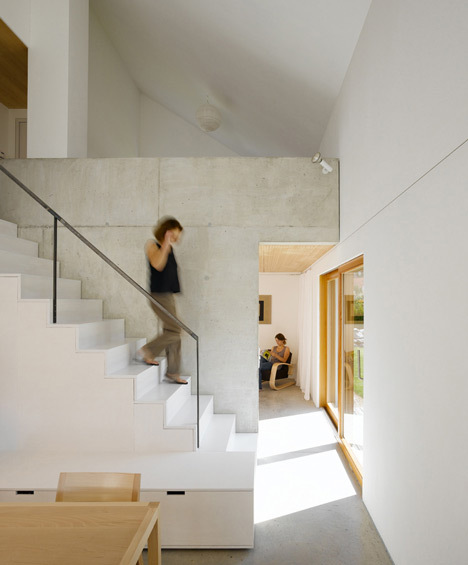 Called Bru 1.25, the house was designed for the architectâ€™s brother. 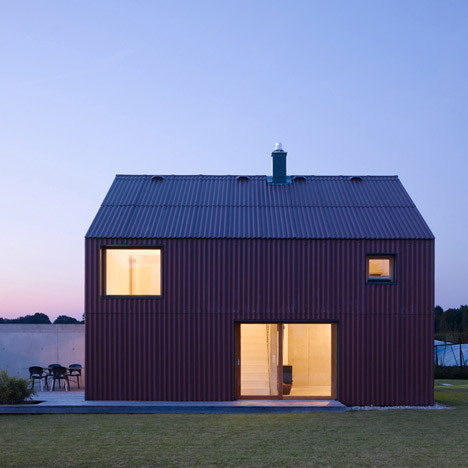 The roof and external walls have been clad in fibre-cement corrugated panels, eliminating the need for rain-pipes or gutters. 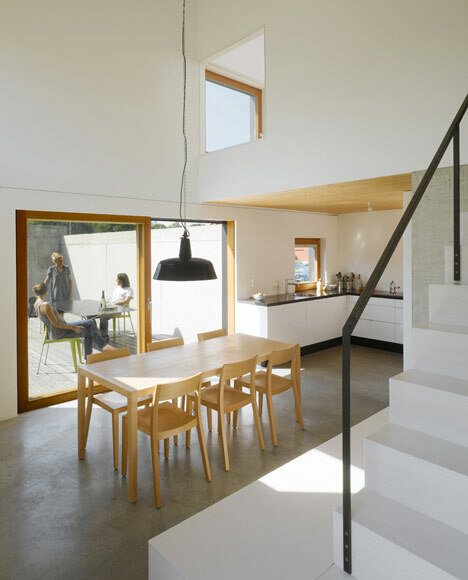 The timber structure has a double-height ceiling in the living space, visually connecting it to the upper floor. 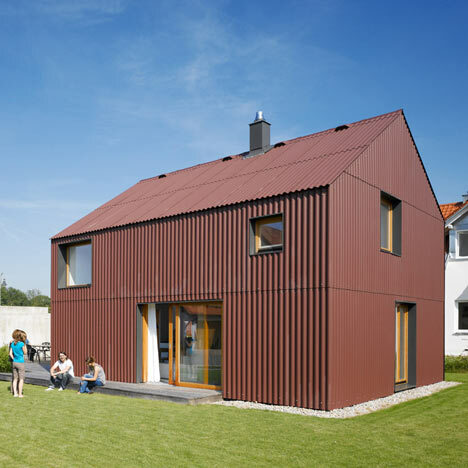 The 125,000 Euro detached home with 90 sqm habitable area was developed for a couple â€“ precisely the architectâ€™s brother â€“ BRU 1.25. Decisions on construction method, materiality and quality were primarily based on building costs. Fair faced interior walls, screed as finished flooring, visible insulation strips between floor and walls, and the use of corrugated cement fibre panels for facade cladding and roofing â€“ no need for rainpipes and gutters â€“ help to reduce the costs. 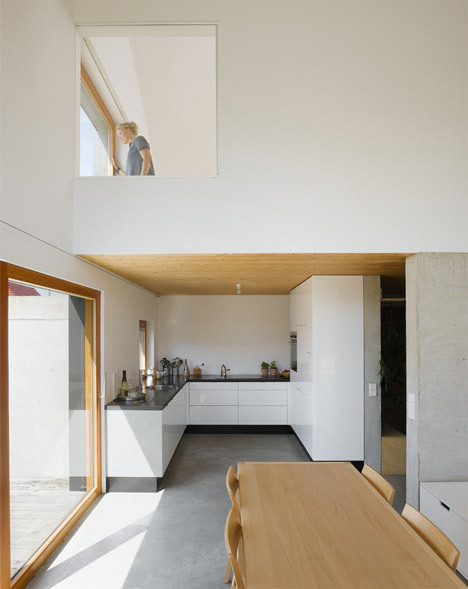 The timber building enables a strong connection between interior and exterior through the accurately positioned openings on ground level. The double floor height dining area generously connects first and second floor. The wooden deck between the house and the garage offers a private outdoor room, bordered by a concrete wall to the north and a flower bed to the south. 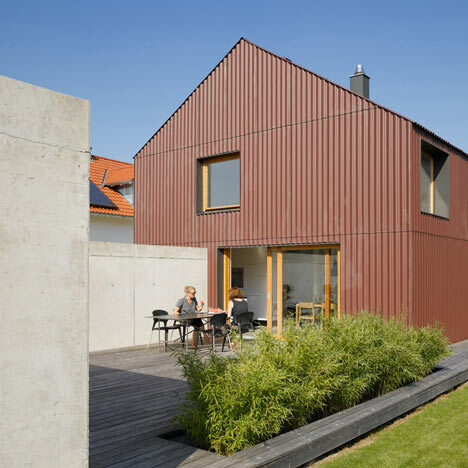 The small dwelling reveals an economic alternative to the commonly used concepts, although, according to the local newspapers, due to the originality of the design it asks for some openess from its neighbours and vicinity. Llamado Bru 1,25, la casa fue diseÃ±ada para el hermano del arquitecto.